Can a $58 ticket be worth $1,000? Published on: Feb 20 2007 by Bob Bernstein - Comments Off on Can a $58 ticket be worth $1,000? Published on: Feb 05 2007 by Bob Bernstein - Comments Off on Never Get Scammed Again! What do brokers do with extra tickets they can’t sell? Do the brokers just eat them? Published on: Feb 03 2007 by Bob Bernstein - Comments Off on What do brokers do with extra tickets they can’t sell? Do the brokers just eat them? 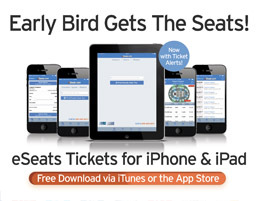 Why are the same tickets on so many websites? Published on: Feb 02 2007 by Bob Bernstein - Comments Off on Why are the same tickets on so many websites? 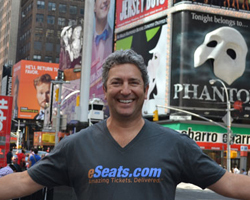 Since 2001, eSeats.com has been providing consumers from around the world with authentic tickets to concert, sports and theater events.